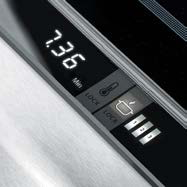 This ultra-modern induction griddle available with single or multiple heat zones and varying power options provides a cooking surface with a temperature control range setting between 50 - 230°C, has a very functional non-stick easy-to-clean chrome frying surface with waste collection drawer and a practical timer function. It is exceptionally energy efficient with rapid heat-up times and instantaneous temperature control, the absolutely uniform distribution of heat across the cooking surface is truly unbeatable. 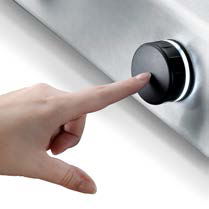 Instinct induction griddles offer significantly reduced energy consumption thanks to the highly efficient induction technology with optimal energy transfer between the griddle plate with quality surface protection. Patented RTCSmp® Real Time Temperature Control System technology enables temperature measurement and control down to 1°C over the entire frying time and the entire frying surface with contactless temperature measurement and control in real time for optimal frying results thanks to direct heat transfer from the griddle plate to the fried foods offering a uniform frying zone with temperature deviations being corrected instantly.